Quail are delicate, tough birds. I know that doesn't make sense, but it is true of these fun little birds. From the moment they hatch, quail are busy, adventurous, little creatures. They'll need frequent checks to insure their health and happiness. As they grow, the changes that take place in their order may be startling. 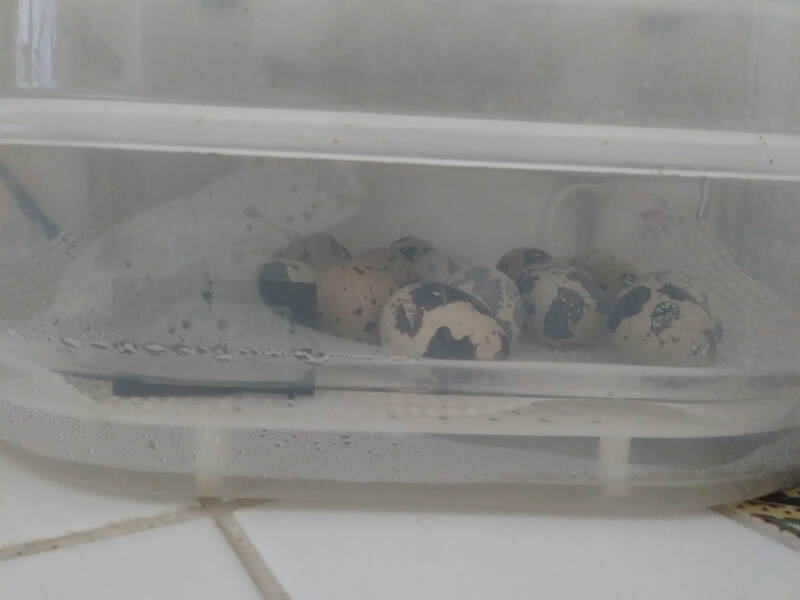 Quail eggs hatch in only 18 days. Their maturity rate is almost frightening. Three weeks from hatch, they are fully feathered. At seven weeks, they are mature enough to start laying and begin establishing the ranks of top bird in the covy. Collected eggs are allowed to sit 24 hours at room temperature before adding to incubator. It is important to tip them and leave them at an angle of about 45° twice a day to keep embryos from sticking to the shell. Candling is nearly impossible as the shells are so thick it is difficult to see inside them. Select the best eggs. Make sure they are clean and clear of defects. Calcified and dirty shells are not ideal for hatching. Do NOT clean with water before your hatch placement. This may cause complications with development. 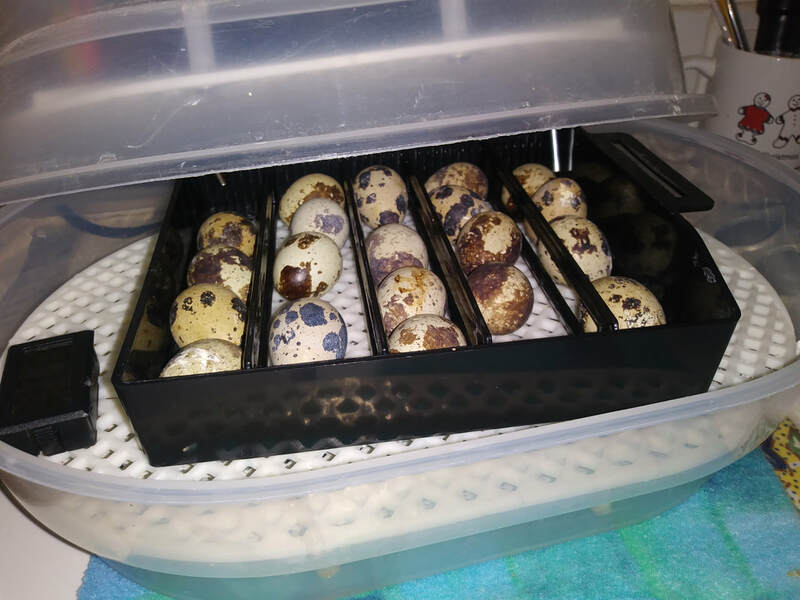 38°c is the perfect temp for quail hatching. This is 99°f. Keep the humidity around 40 to 50 % for the first 15 days. When the 15th day arrives, remove the turner tray and up the humidity to about 65 to 75% for the last three days.